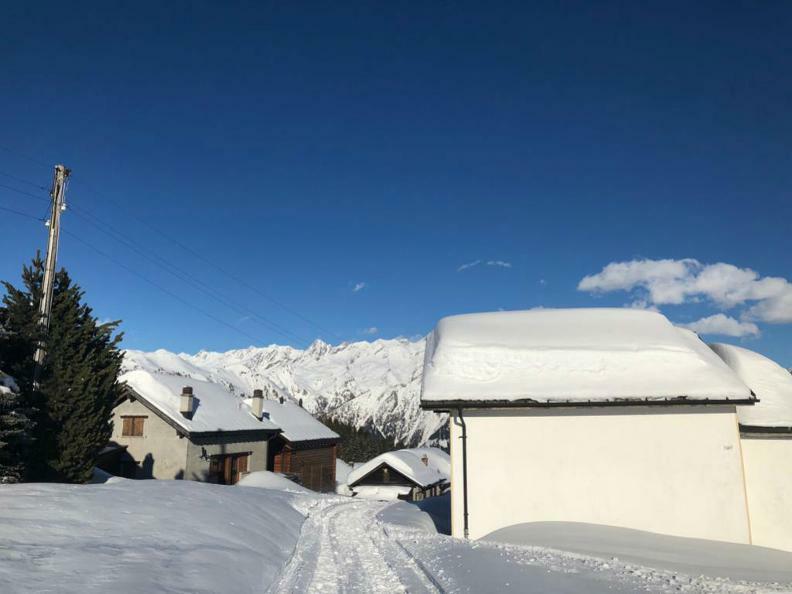 The start of this excursion is located in Piera (small village located about halfway between Camperio and Campra, at 1'300 m s / m), on the cantonal road towards the Lucomagno, at the height of the detour for the Dötra hut. The ride, which lasts about 15 minutes each way, is entirely on the 5.8 km municipal road. During the journey, tourist will have the chance to cross a forest of alders and kernels and turn after turn to find themselves in a woodland of larches and firs that, dressed in their long white coats, are the gate to the breathtaking panorama; Dötra. 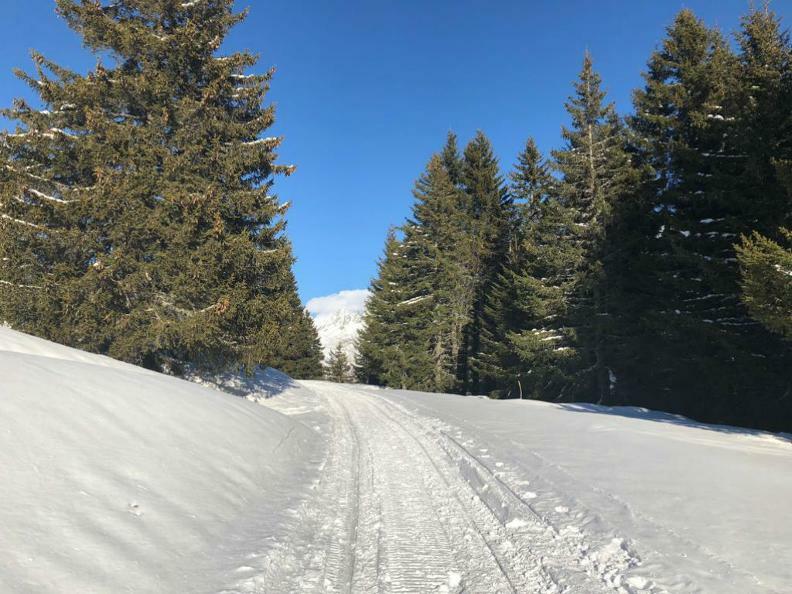 Outside the wooded areas, the road crosses gentle valleys and slopes from which the view sweeps over the majestic massifs of Simano (2,580 ms / m) and Adula (3,402 ms / m). In addition, the view towards the Sosto (2,221 m ms / m) and the Cima di Töira (2,097 ms / m) and towards the peaks of the Santa Maria Valley that leads to the Lucomagno is just splendid. The arrival point is situated at the center of the village of Dötra (1'750 m s / m), not too far away from the homonymous Grotto and Capanna where people can taste the delicious cuisine of Christian "Zio" Zaninelli. Despite being of the same length, there is the possibility to differentiate the trip a little bit. One can choose to ride from the basin that houses the nucleus of Anveuda or to pass through the forest above the core of Marzanei. Depending on availability, night rides can be performed during the full moon and to observe the stars taking advantage of the well-known "black sky" of Dötra, which is particularly suitable for astronomical observations. This excursion is suitable for everyone, from families with kids to group of friends. 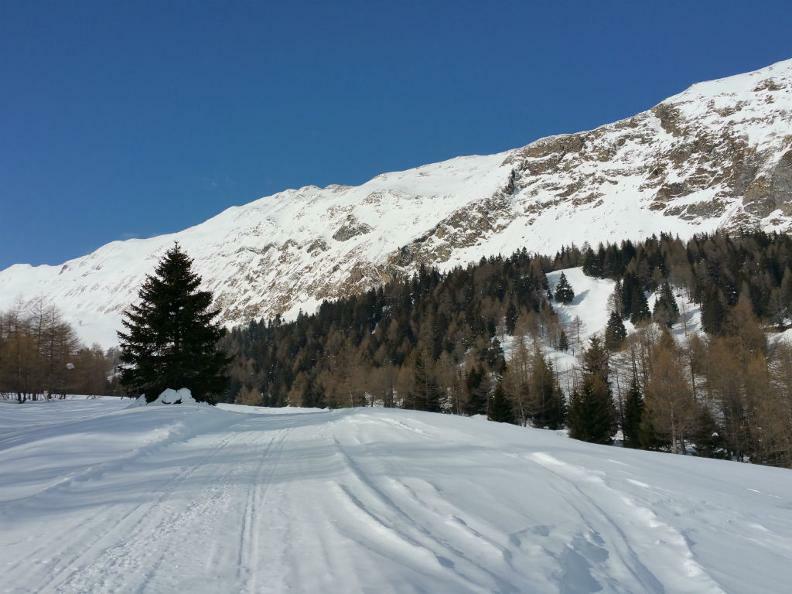 Pasquale and Diego Devittori with Enea Solari are operators authorized by the Municipality of Blenio and by the competent cantonal authority for the transport of people on a sled pulled by a snowmobile. 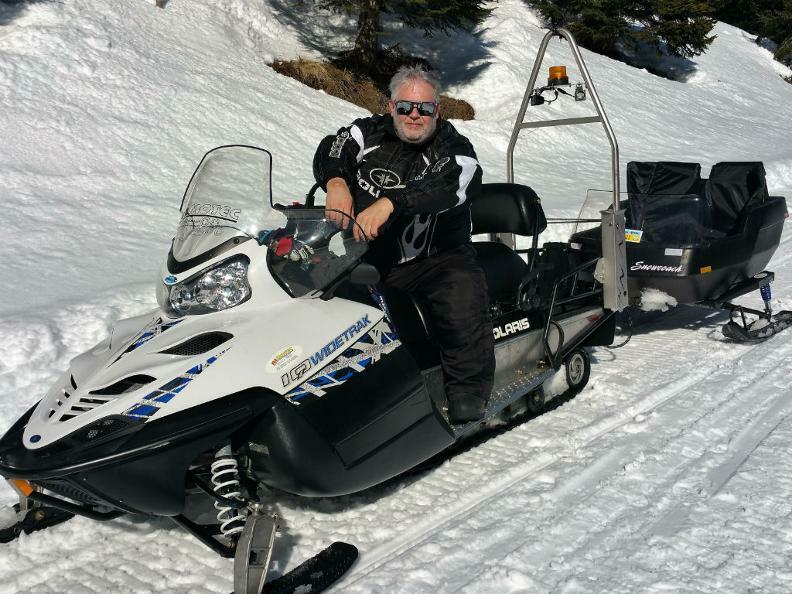 The Traffic Section of the Ticino Canton inspects the snowmobiles and the sleds yearly in order to issue the authorization to perform the service. 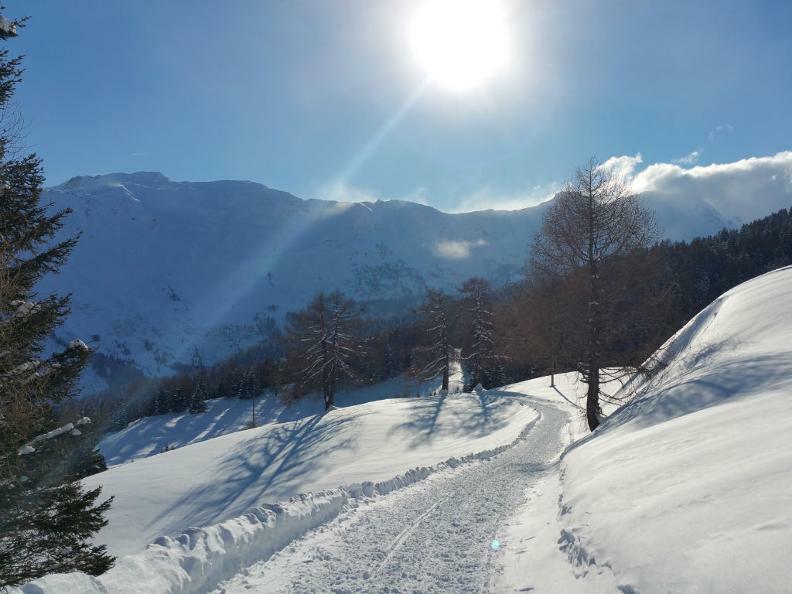 Also be aware that the service, which is available during the winter season, is performed only if safety criteria are met (good weather, snow situation and general safety).